Winter season takes a toll on the integrity and strength of your roofing system. It comes with prolonged exposure to snow, moisture and even mildew buildup. You can avoid facing damage during the cold months by following these tips from us, Elite Construction, your top roofing contractor. An inspection by a skilled roofer is important before the snow sets in. 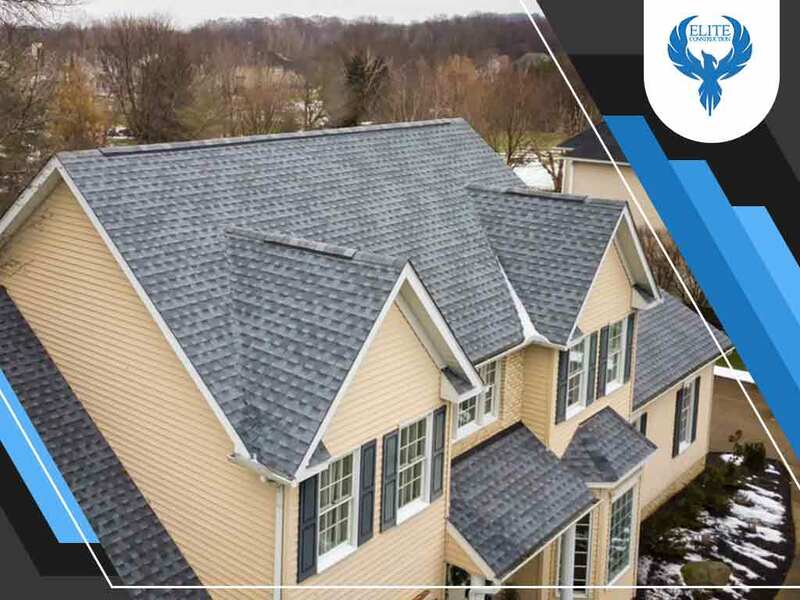 They can identify potential damage and weak spots in your roofing system, making you aware of what your roof needs to remain intact and damage-free during winter time. Homeowners often forget scheduling another inspection when the season is over. You may not have encountered leaks or moisture problems throughout the season, but you should still seek the expert eye of a professional roofer for hidden damage to address it immediately before it leads to costlier repairs. Avoid putting off roof leak repairs during winter because the leak only worsens over time. Covering it up with duct tape or putting a bucket underneath it isn’t the best way to deal with leak formation. Call a trusted roofing company that offers roofing solutions no matter what the weather is. Elite Construction is always ready to take your call. We will always strive to fulfill your roofing needs because we value the protection and safety your roof provides above everything else. Apart from scheduling inspections, there are other ways to keep your roof healthy and damage-free. You can conduct visual inspections of your own, have your thinning attic insulation material replaced, become wary about your attic ventilation and check for ice dam formation around your roof. You can do all of these even when it’s significantly snowing. Elite Construction, your top roofing contractor, offers great roofing services for both winter and fall, the two most crucial seasons for roofs. You can call us at (844) 217-0506 or fill out our contact form for any of your roofing inquiries. We service Denver Metro and the entire Front Range of Colorado.